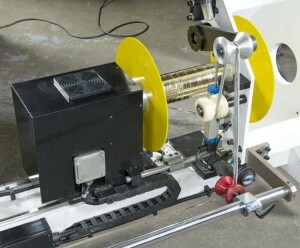 Traverse edge trim winders from Advanced Converting Equipment Ltd. Trim winders are designed for the rewinding of narrow width edge trimmed tapes which are removed from the main web when converting product. These can be either paper, films, foils or non woven materials. These trim winders can be either free-standing or machine mounted whichever is best suited for the application. The free-standing trim winders incorporate a dancer arm tension control; a pneumatic cylinder fitted with a manual high-speed pressure regulator for smooth control of the dancer arm. Increasing the pressure in the dancer arm air cylinder increases the tension in the material. The winding shaft is a 3” diameter cantilevered air-shaft with 2 flanges (one removable for unloading scrap material). 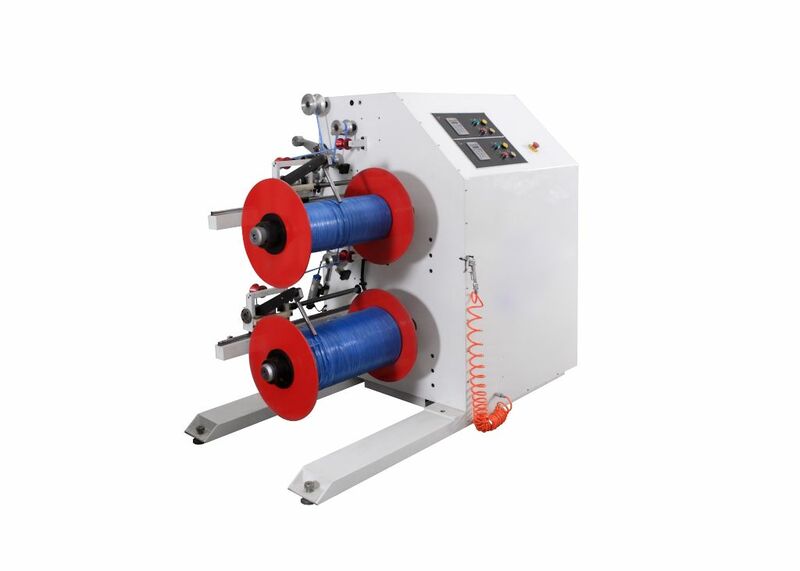 The winding shaft oscillates using a ball-screw in conjunction with the machine speed during the winding process to maintain constant layering.